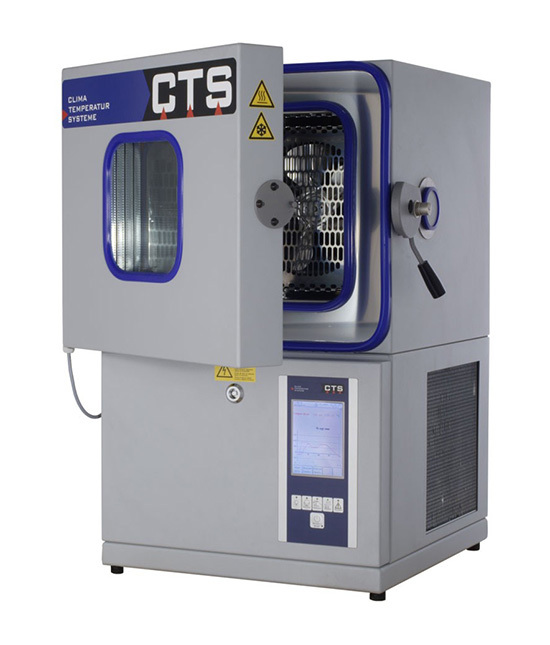 The CTS “T” series is distinguished by technical advantages as well as attractive design. The temperature test chambers in this series have high temperature change rates, simple programming on colour Touchscreen panel, as well as extremely low noise levels. They are designed as modular units allowing a custom solution for nearly every requirement profile.